This conference aims to showcase the best examples of social innovation research and practice throughout the region, especially the work being carried out in and with universities. 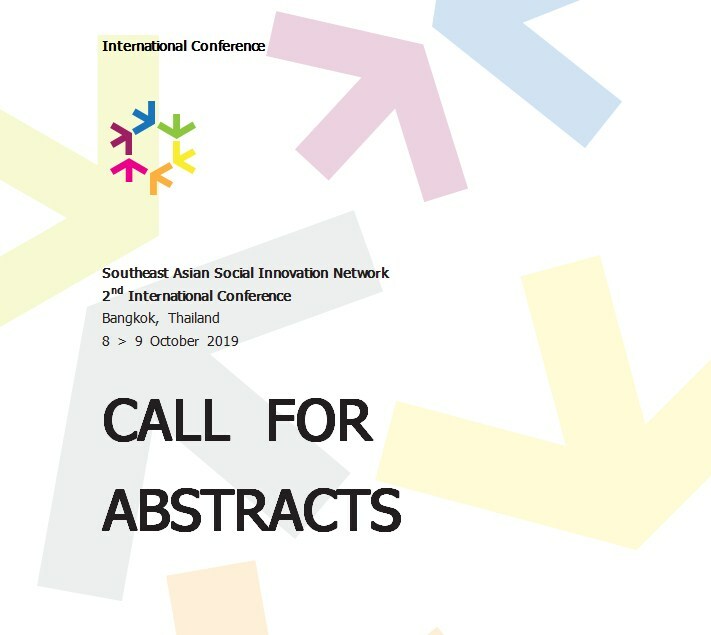 Our theme for the 2nd South East Asian Social Innovation Network International Conference in Bangkok, Thailand (8>9 October, 2019) is Exploring the Asian Social Innovation Experience – Theory and Practice. Increasingly, social innovation is being recognized as critical for sustainable human and social development, capable of addressing the major and interrelated challenges facing society. Across Asia, governments, corporations, social organisations and social investment firms demonstrate the extent to which the social innovation eco-system is growing. That being said, significant challenges remain – including a lack of shared definitions and priorities, uncoordinated support, fledgling networks, unclear policy and limited financial provisions – that undermine progress and impact. The South East Asia Social Innovation Network is a project funded by the European Commission which helps universities to actively engage in social innovation in order to help their communities achieve sustainable and inclusive socio-economic growth, social cohesion and equity in South East Asia. SEASIN’s core objective is to create a new paradigm for knowledge exchange in universities and provide a platform for driven people focusing on innovation, sustainability and social entrepreneurship. We believe that social innovation can solve the most pressing challenges in the world, that youth is the driving force, and in collaboration with a clear purpose – it can all be done. The theme of the 2nd South East Asian Social Innovation Network International Conference underpins our core objective.